As senior year comes to a close, a promise of new beginnings is on the horizon. Kate longs to head to Arizona and college until her former friend, Tyson, does the unimaginable forcing her to stay in Ohio. Her family has to pull together to keep their secrets safe. 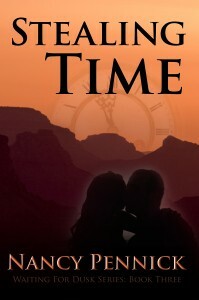 Anna wishes to return to the canyon in 1927 once more and Kate’s determined to make that a reality. Summer’s filled with wonderful memories and little warning of things to come. Kate’s world grows darker and she must be the one to conquer the demons and save the world that is most precious to her.